A United Nations-backed nuclear watchdog has said that it has not detected an explosion or a crash that could be linked to the missing Malaysia Airlines plane, amid continued speculation over fate of the aircraft. "Regarding the missing Malaysian Airlines flight, the Vienna-based Comprehensive Nuclear Test Ban Treaty Organisation confirmed that neither an explosion nor a plane crash on land or on water had been detected so far," the spokesman for UN Secretary General Ban Ki Mmoon Stephane Dujarric told reporters. Dujarric said plane accidents may be detected, depending on individual circumstances, by three of the four technologies used by the CTBTO's International Monitoring System. While the verification system has been put in place to detect nuclear explosions, it is also able to detect the explosion of a larger aircraft, as well as its impact on the ground or on water. Last week, CTBTO Executive Secretary Lassina Zerbo had said that he would put the sensors of the organisation at work to see if a possible explosion at high altitude of the missing Malaysian Airlines plane could be detected. Zerbo has also encouraged all scientists from UN member states to carefully study the available data. He had said the CTBTO uses infrasound -- or infrasonic sensors -- to monitor the earth mainly for atmospheric nuclear explosions. Dujarric said the CTBTO has a network, as part of their Test-Ban-Treaty, of extremely sensitive sensors throughout the world that detect nuclear explosions and earthquakes. Flight MH370, carrying 239 people, has been missing since March 8 and a multi-national search has so far shed little light on where the plane could have landed or crashed. Zerbo had asked the head of the CTBTO's International Data Center to look at the data to find clues about the missing plane. "There's a possibility, it's not absolute, that the technology like the Infrazone could be able to detect" an explosion, he had said. 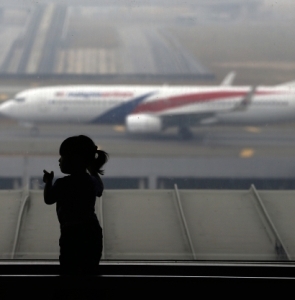 The mystery of the missing plane continued to baffle aviation and security authorities. CTBTO said infrasound is produced by a variety of natural and man-made sources like exploding volcanoes, earthquakes, meteors, storms and auroras in the natural world; nuclear, mining and large chemical explosions, as well as aircraft and rocket launches in the man-made arena. Infrasound monitoring is one of the four technologies used by the International Monitoring System to verify compliance with the nuclear test ban treaty. The IDC routinely detect signals from commercial planes taking off and landing at airports located in the proximity of IMS infrasound stations. In the past, CTBTO stations have detected some plane accidents, including the crash of a plane at Narita airport in Japan in March 2009. Was Malaysian Airlines flight MH370 hijacked? Were terrorists behind missing Malaysia Airlines plane?